I know not everyone knows that Canberra is Australia's capital. Let me share with you how and why it happened. During the early days, Sydney and Melbourne were both vying to be Australia's capital. To stop the argument, the government decided to develop a small town called Canberra. 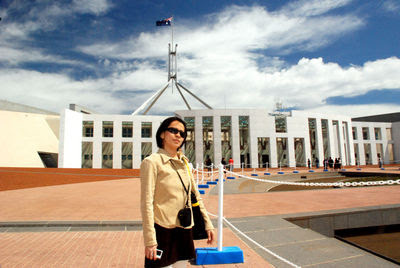 They placed the Parliament house and all the government's important offices there. 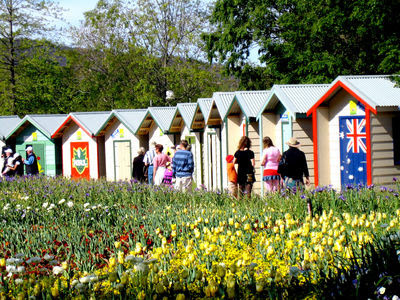 Aside from being the capital of OZ, it is also the house of the annual flower festival called "Floriade." I enjoyed all the colorful flowers and the auction of surf board houses. And one thing I will never forget is my experience at the Science Museum. 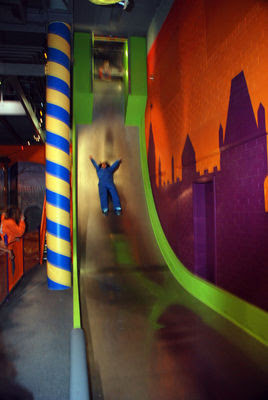 I hurt my head in the vertical slide. It seem easy because small kids were doing it and having fun. I was wrong. But it's my fault because I didn't follow the proper procedure. Me and my boyfriend in the Floriade. We came to visit the last day of the flower festival. 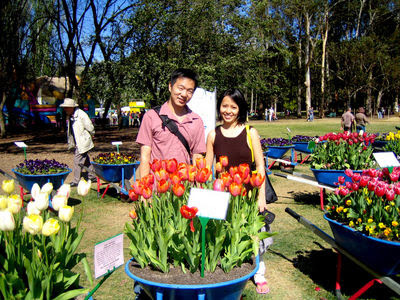 Tulips and other colorful flowers in Australia were showcased. 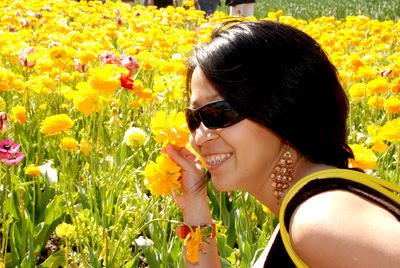 One of my bad habits lately... posing like a Japanese with every flower I see. 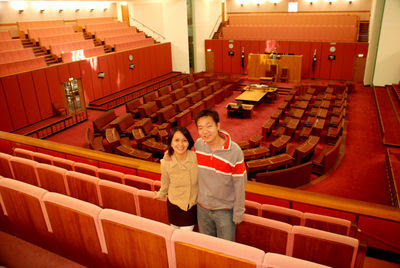 Inside the parliament house are the rooms for senate and congress. This one is the senate house. 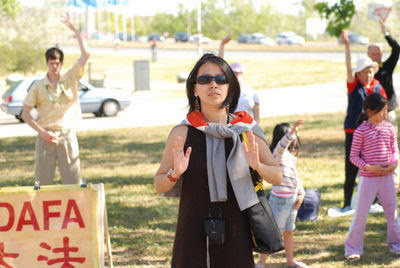 Doing Tai Chi somewhere in Canberra along with local Chinese residents. The Feeling Queen meets The Real Queen! No, it's not Juliana Palermo. 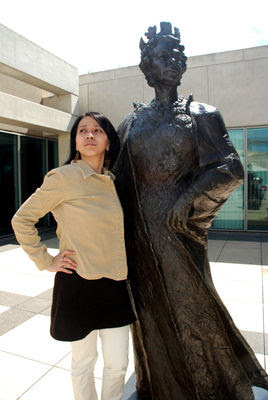 She's Dewi who became my good friend in OZ. She's the sister of my cousin's wife. Quite a connection there. 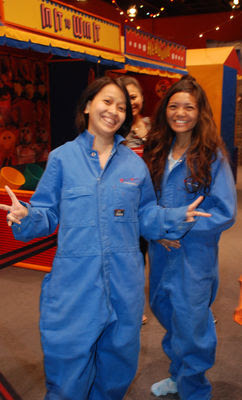 We were asked to wear this suit because we were going to try the vertical slide inside The Science Museum. There are a lot of fun stuff inside it but for me this is the most interesting and memorable. So there goes The Artist Chef who took the risk and hurt her head badly.